Editors note: This story was updated on Oct. 16, 2018 to reflect that some people with insurance may still face out-of-pocket costs. Feb. 12, 2018 -- In October 2017, the FDA approved a new shingles vaccine, called Shingrix. This January, the CDC officially recommended that adults 50 and over get the new vaccine to prevent this painful, blistering disease instead of the previous one, Zostavax. WebMD asked a few infectious disease experts how Shingrix works and whether it has any risks. How is Shingrix different from Zostavax? Shingrix is more than 90% effective at preventing shingles and a painful complication called postherpetic neuralgia (PHN) in all age groups. Zostavax only lowers the odds of getting shingles by 51%, and of PHN by 67%. It's even less effective in people ages 70 and older. The Zostavax vaccine has been around since 2006. It contains a live but weakened version of varicella zoster -- the virus that causes shingles and chickenpox. Shingrix has a dead version of the zoster virus. It also contains an adjuvant -- a substance that helps your body fight off the virus better. "It causes your immune system to produce more antibodies to fight shingles than the other vaccine produced. So your body has a stronger immune response to the Shingrix vaccine than to the Zostavax vaccine," says Michael Hogue, PharmD, a professor of pharmacy at the Samford University College of Health Sciences. Why is Shingrix recommended for people ages 50 and older? You can get Shingrix at age 50, when your chance of having shingles rises. Studies have shown that its protection remains strong for at least 4 years, but researchers hope it will last much longer because the immune response is stronger. 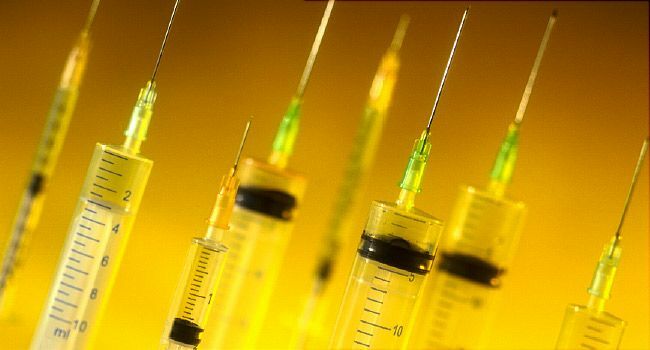 "The CDC recommended that Zostavax stay at 60 and older because they were concerned the immunity would wane, and there would be a number of people who were vaccinated in their 50s who wouldn't be protected in their 70s," says Kenneth Schmader, MD, a professor of medicine and chief in the division of geriatrics at Duke University Medical Center. "It looks as though it's going to stay high with virtually undiminished protection," says William Schaffner, MD, an infectious diseases specialist at Vanderbilt University. "Shingrix is clearly a superior vaccine." The CDC says healthy adults ages 50 and over should get the Shingrix vaccine. You should get it even if you’re not sure if you ever had chickenpox, the CDC says. How many doses of the vaccine do you need? You need two doses, given 2 to 6 months apart. "That second dose is really important to make sure you get long-term protection," Hogue says. Shingrix causes more side effects than Zostavax. "That's the price you pay for the boost in immune response," Schmader says. The main side effects reported in studies were soreness, redness, and swelling where you get the shot. Some people also got headaches or felt tired or achy after the shot. About 1 out of 10 people said the side effects were severe enough to disrupt their daily life. Yet most felt better within 3 to 5 days. “The side effects of the Shingrix are temporary, and usually last 2 to 3 days. While you may experience pain for a few days after getting Shingrix, the pain will be less severe than having shingles and the complications from the disease,” the CDC says. Should you get Shingrix if you've already had the Zostavax shot? Yes. The CDC recommends that you get the Shingrix vaccine if you've already had Zostavax, because it's more effective than the older vaccine and the protection lasts longer. Wait at least 2 months after you have Zostavax to get Shingrix. Should you get Shingrix if you've already had shingles? Yes. Shingles can come back after you've had it. "There's a somewhat increased risk that you could get a second episode, so go ahead and get the vaccine," Schaffner says. Just wait until your rash and other symptoms have cleared. Has tested negative for immunity to the varicella zoster virus. If you test negative, you should get chickenpox vaccine. Is pregnant or breastfeeding. If you are, you should wait to get Shingrix. The CDC's Advisory Committee on Immunization Practices hasn't confirmed whether the vaccine is safe for people who have a weakened immune system because of a disease or medicine they take. One worry is that taking drugs that weaken the immune system might make the shingles vaccine less effective. It's also possible that by stimulating the immune system, Shingrix could worsen certain diseases, like leukemia. The committee will review the research, and it should offer more specific advice later this year. "It's out, but in small quantities. The demand has been extremely high," Schmader says. That means it may not be available right away in every part of the country. Shingrix costs $280 for both shots. Medicare Part D -- the prescription drug plan for people ages 65 and older -- will cover the cost. But you may have to get the shot at your pharmacy instead of your doctor's office. What about private health insurance? Insurance companies usually wait to cover a vaccine until the CDC formally recommends it, which happened in January. Then the government gives them 12 months to bring about full coverage, Hogue says. "The best advice is to check with your insurance carrier." Some people on Medicare or with private insurance may still face out-of-pocket costs depending on their plan. If your insurance doesn't yet cover Shingrix, consider getting Zostavax until your coverage for the new vaccine kicks in. "I would encourage you to get the vaccine, because shingles is extremely painful, and it can be a debilitating disease," Hogue adds. CDC: "About the Vaccine," "Shingrix Recommendations," "What Everyone Should Know About Shingles Vaccination (Shingrix)," "What Everyone Should Know About Zostavax." Michael Hogue, PharmD, professor of pharmacy, Samford University College of Health Sciences. William Schaffner, MD, infectious diseases specialist, Vanderbilt University. Kenneth Schmader, MD, professor of medicine; chief, division of geriatrics, Duke University Medical Center. Morbidity and Mortality Weekly Report: "Recommendations of the Advisory Committee on Immunization Practices for Use of Herpes Zoster Vaccines."